Mdina Knights FC and Alberta Group are proud to announce an extension of their corporate partnership for the tenth consecutive year through the 2017/18 season. The partnership has been renewed by Alberta Group’s Managing Director and Hon. President at Mdina Knights FC, George Barbaro Sant together with Joe Vella, President at Mdina Knights FC. Mdina Knights FC is more than just a football club, it has a vision and strongly believes in giving back to the community, through its ‘Mdina Knights Foundation’ – a philanthropic entity whose mission is to instill genuine values of sports through the development of social, educational and sporting activities. “My involvement with Mdina Knights FC started off when I used to play for the Mdina Sports Club, the predecessors of Mdina Knights. Through this initiative, we continue to drive sports education and personal development amongst youngsters.” – George Barbaro Sant. In addition to exclusive sponsorship, the partnership continues to embrace the club’s core values and shared activities. 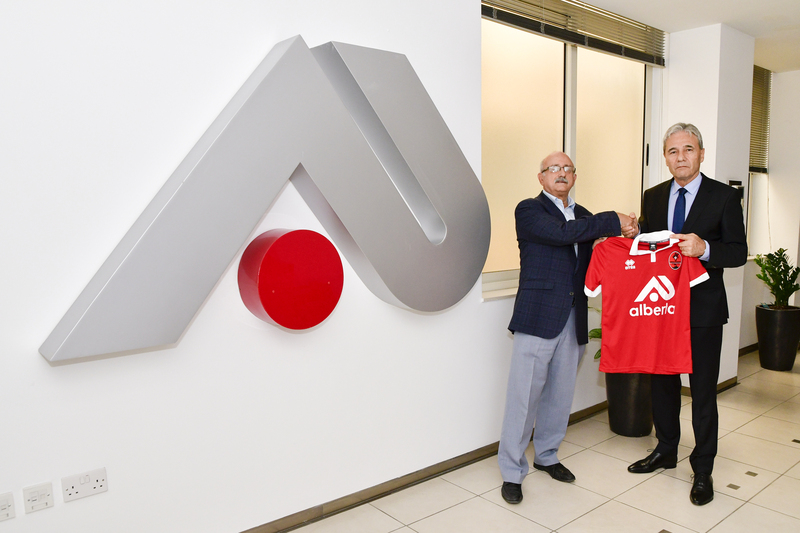 This partnership extension was commemorated during a presentation that took place at Alberta Group’s head office in Mriehel.